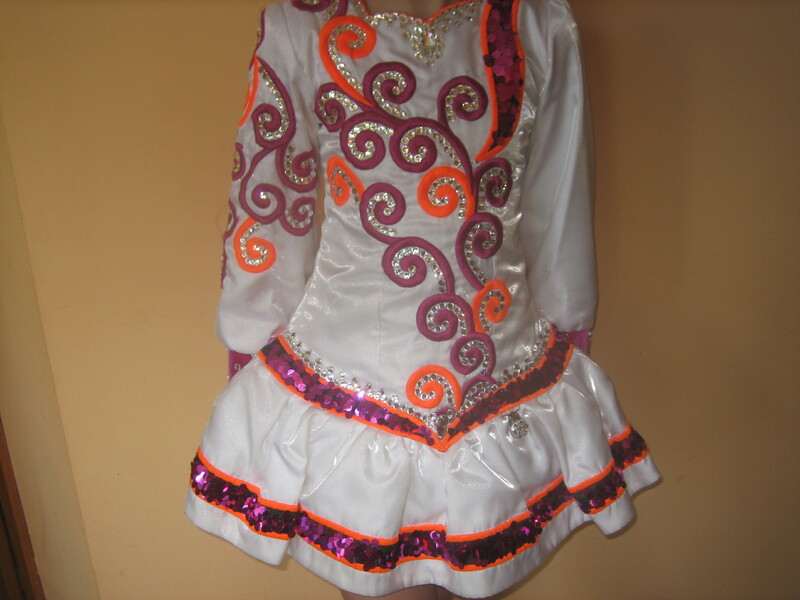 Stunning Siopa Rince Dress. Age 10-11. 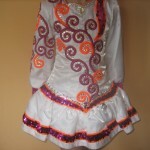 White Satin with magenta and orange detail. Swarovski crystals and sequins. Sequined shawl at back. 11 months old. Fabulous on stage. 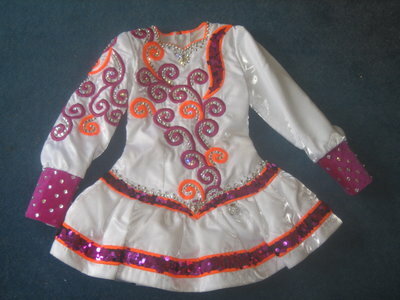 Asking Price: €795 ono. Shipping costs are included for my own country, overseas shipping is extra. Will accept returns and refund the cost of the dress, buyer to pay all shipping costs.